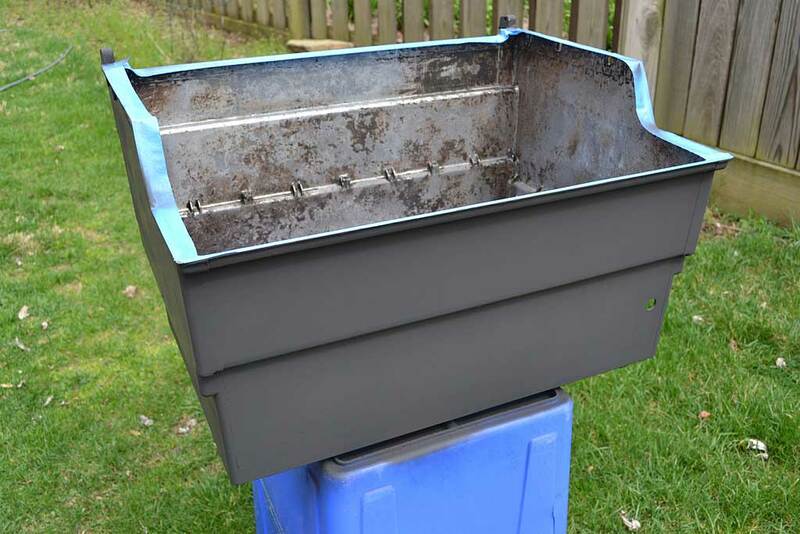 I’ve featured several examples of vintage Weber gas grill restoration projects in blog posts here, but if you’re looking to do your own restoration project, make sure to check-out the resources available in the Weber Gas Grill forum at TVWBB.com. 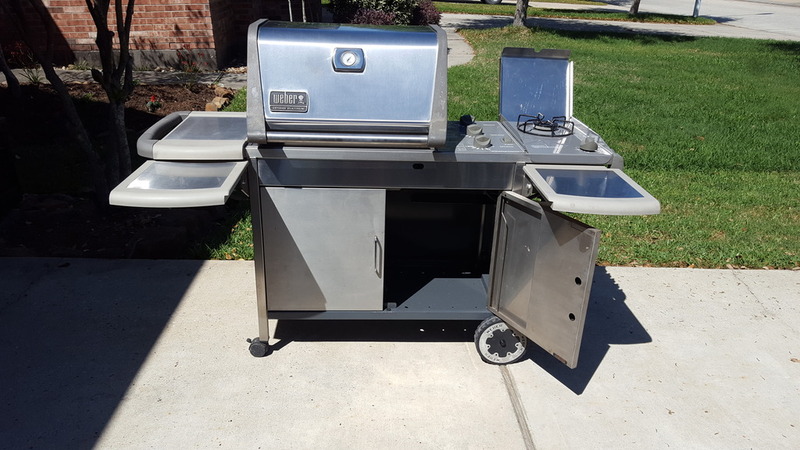 This 1996 Genesis Platinum Series II restoration by TVWBB member Jeff MA of Fitchburg, MA is one of the finest, most comprehensive restorations you’ll ever see of a Weber gas grill. 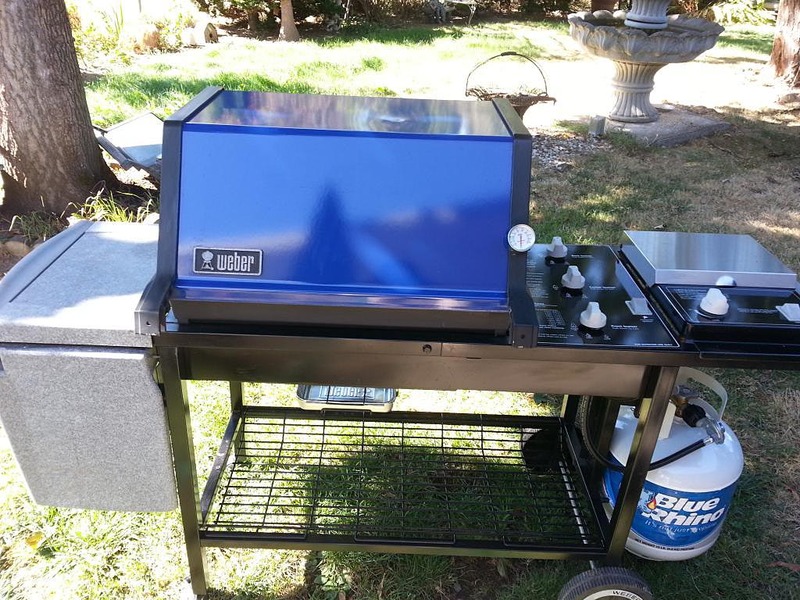 It features almost everything you might encounter in a restore project, including frame repair, firebox cleanup, screw hole repair with QuikSteel, a little welding, repainting, polishing, parts replacement, logo emblem refinishing, new propane tank scale and hose connector, plus a brand new side burner for good measure. 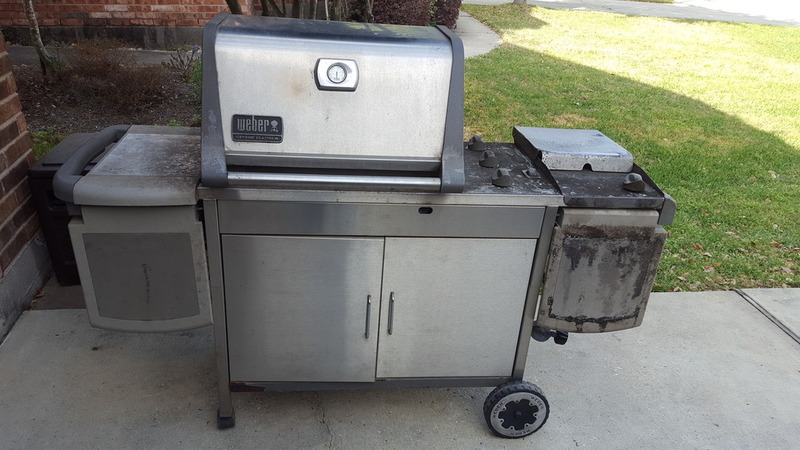 To the untrained eye, this circa 2005 Weber Genesis Platinum C gas grill looks like a piece of junk, ready for the scrap heap. 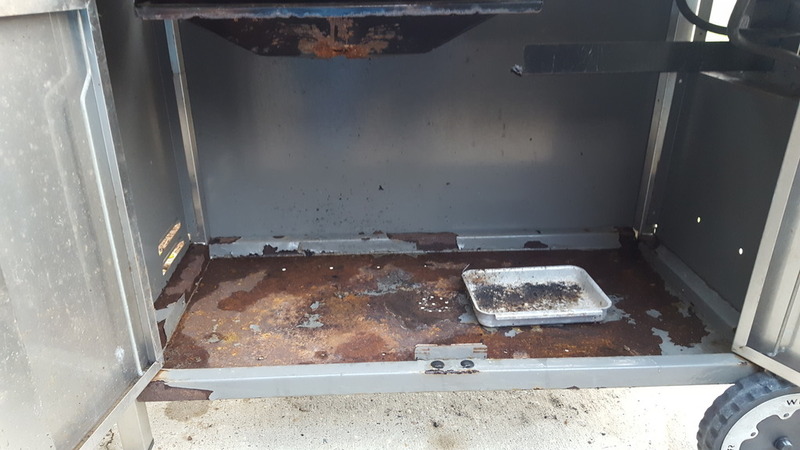 But Scott P. from Porter, TX knew better. 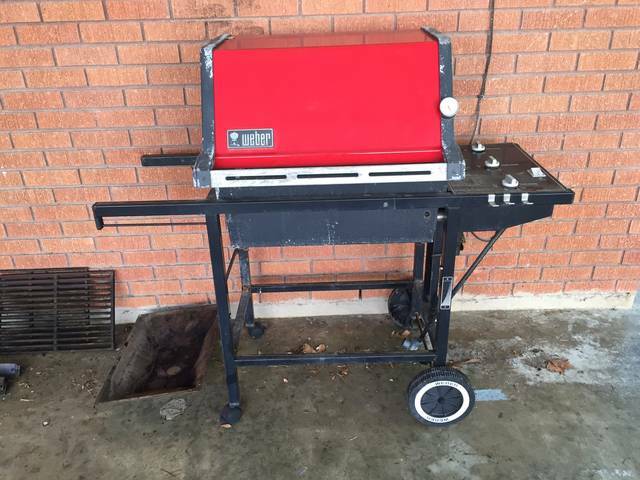 He picked it up on Craigslist for $50, gave it some spit and polish, and it’s ready for many more years of grilling. 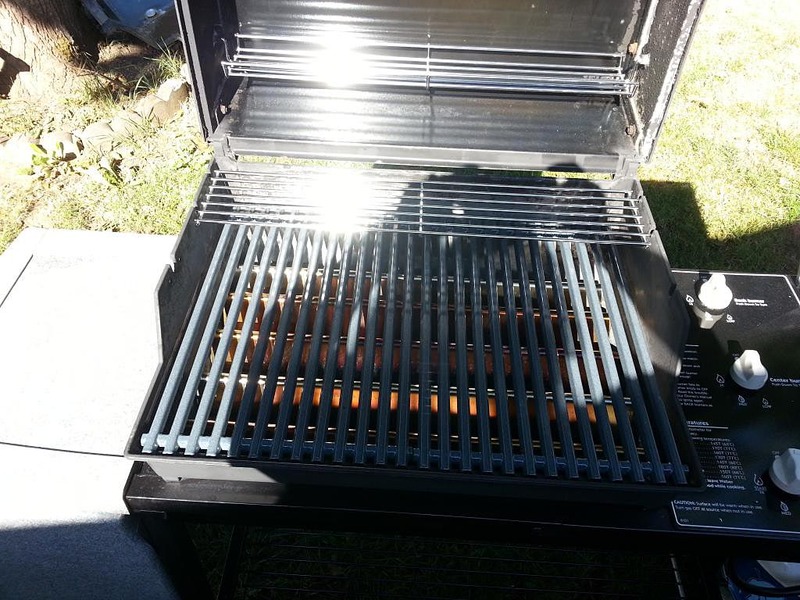 Genesis Platinum C as purchased by Scott P.
Scott gave the grill a thorough cleaning inside and out, then removed the storage enclosure and did some repair to the floor pan using a rust converter, bonding primer, and graphite spray paint. 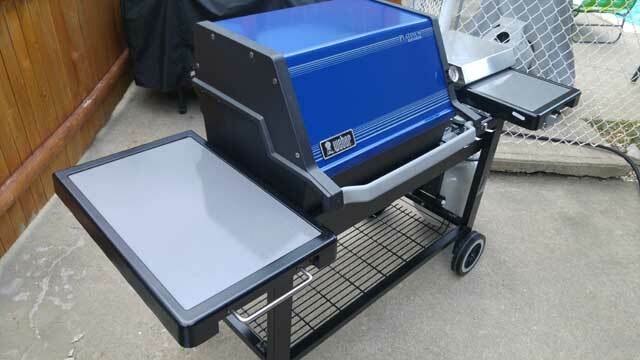 A little more polishing of the stainless steel and gray painted surfaces and this gasser was ready for action! What Scott calls “quick” I call “looks great”! 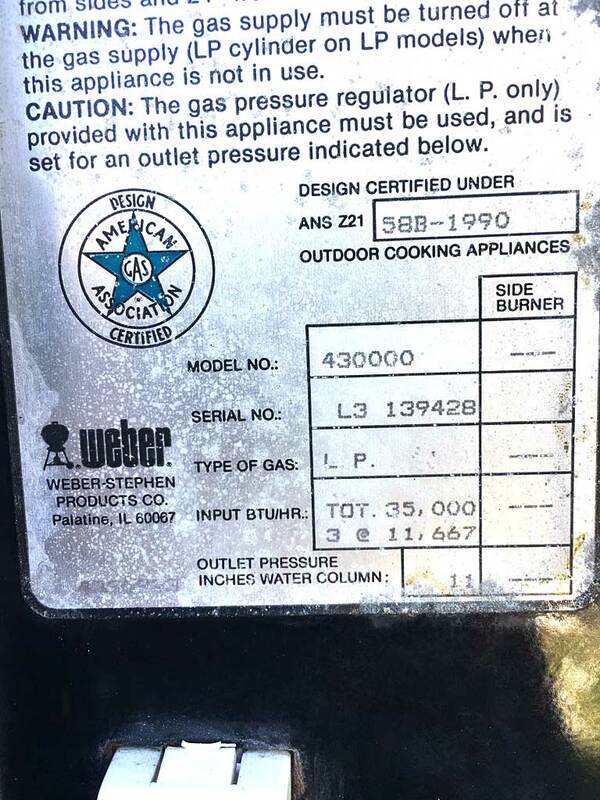 You can read more about this Weber Genesis Platinum C clean-up and repair on The Virtual Weber Bulletin Board. 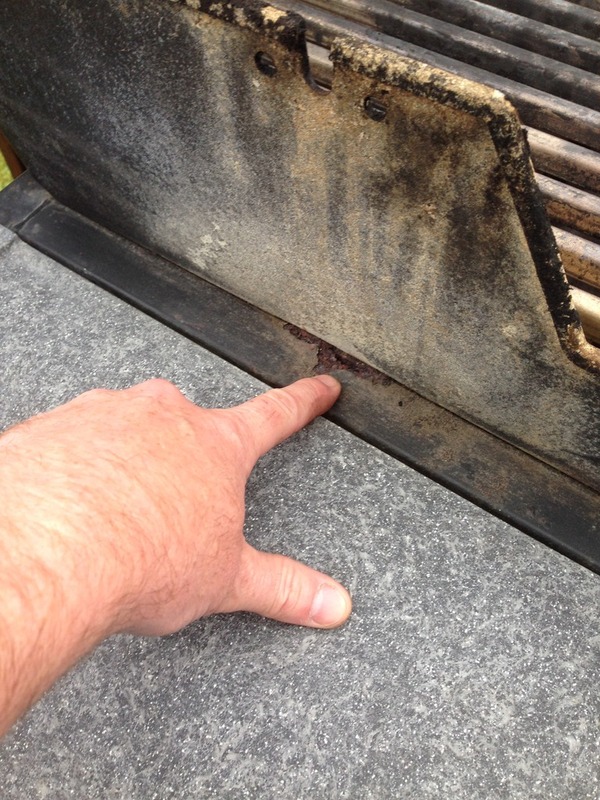 It’s not uncommon to encounter a rusted-out screw hole when restoring an old Weber gas grill. 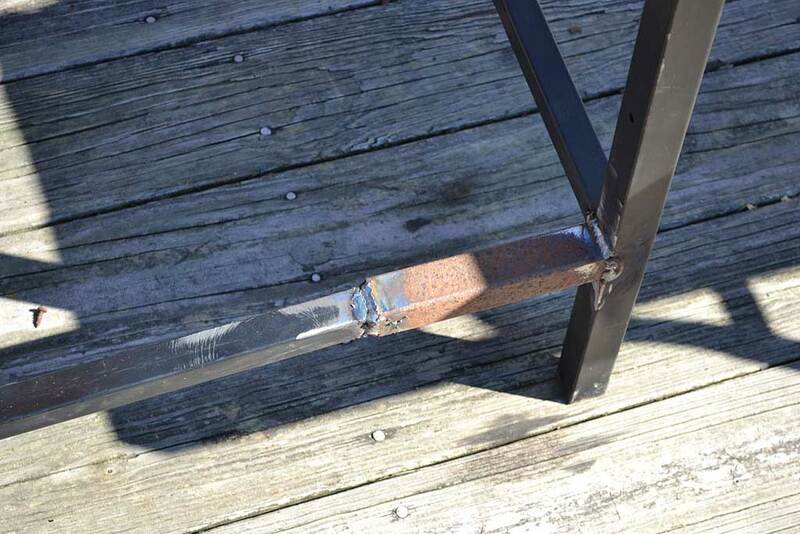 How do you repair a rusted-out screw hole? 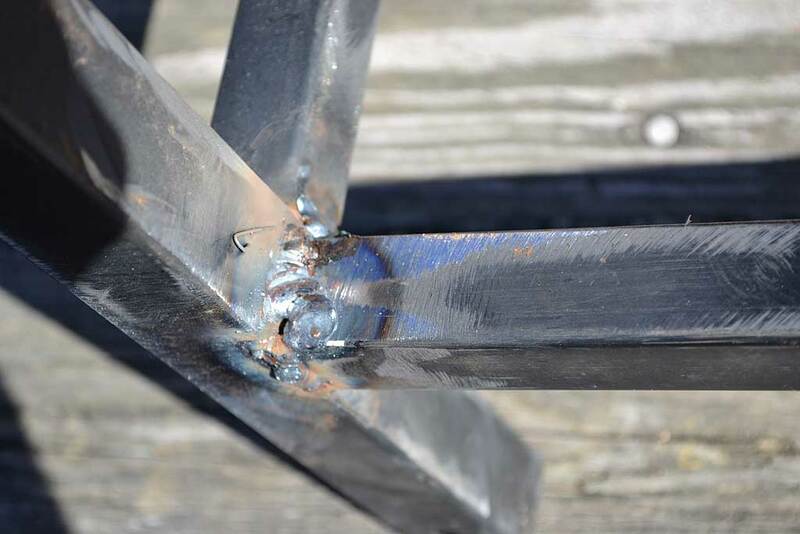 In some cases, it’s easy enough to clean-out whatever remains of the hole and replace the original screw with a bolt and nut. 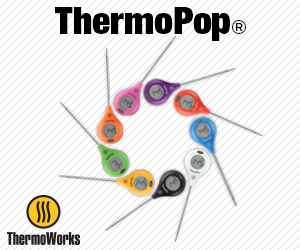 But in some cases, you’ll want (or need) to repair the screw hole so the original screw can be used again. 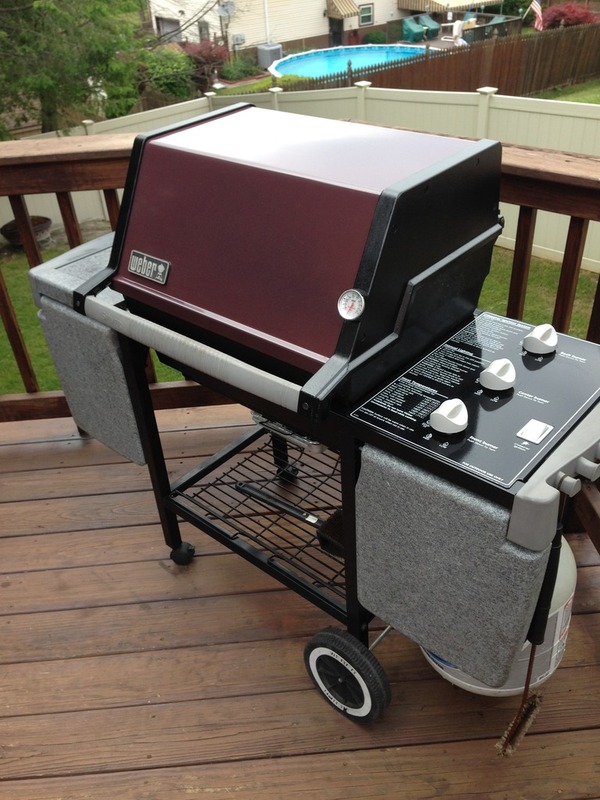 Here’s a beautiful restoration of a Weber Genesis 2 by EdW from Silver Spring, MD. 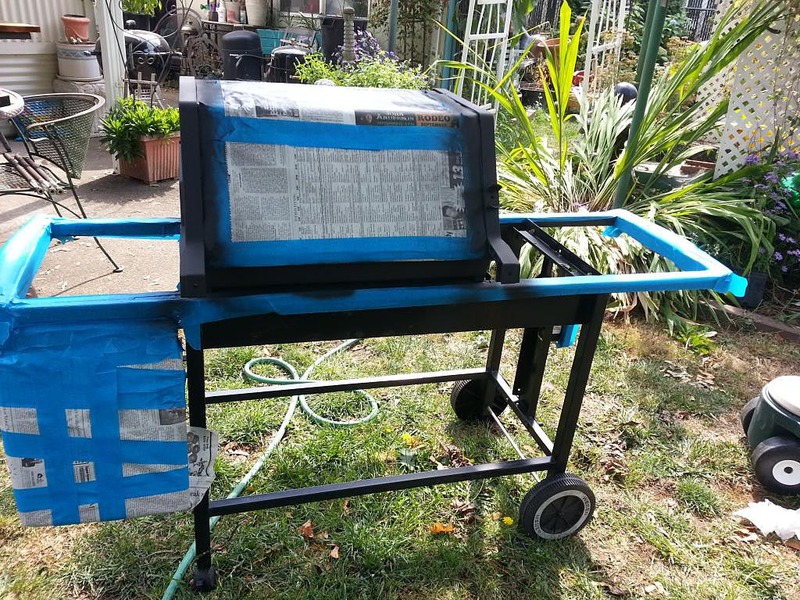 He’s documented the process in a series of posts on The Virtual Weber Bulletin Board. 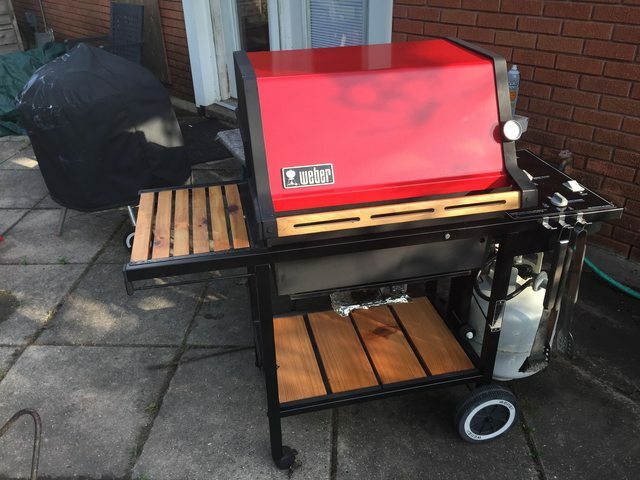 The restoration included a complete disassembly of the grill, repair of the rusted frame, replacements of many internal parts, repainting of the frame/firebox/lid end caps, and some beautiful new woodwork on the work surfaces. 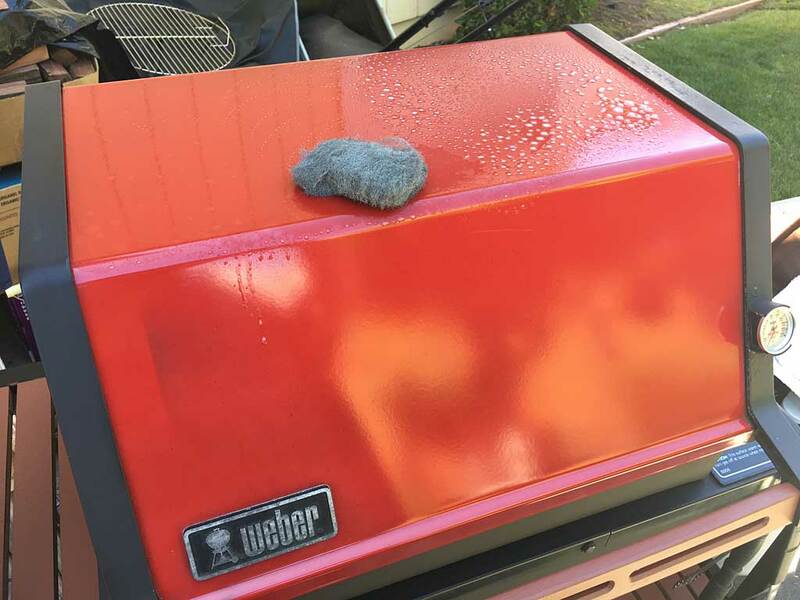 EdW utilized much of the information found on this blog and in the Weber Gas Grills forum at The Virtual Weber Bulletin Board to complete his restoration, including how to restore the Weber emblem and how to clean the porcelain coated lid. 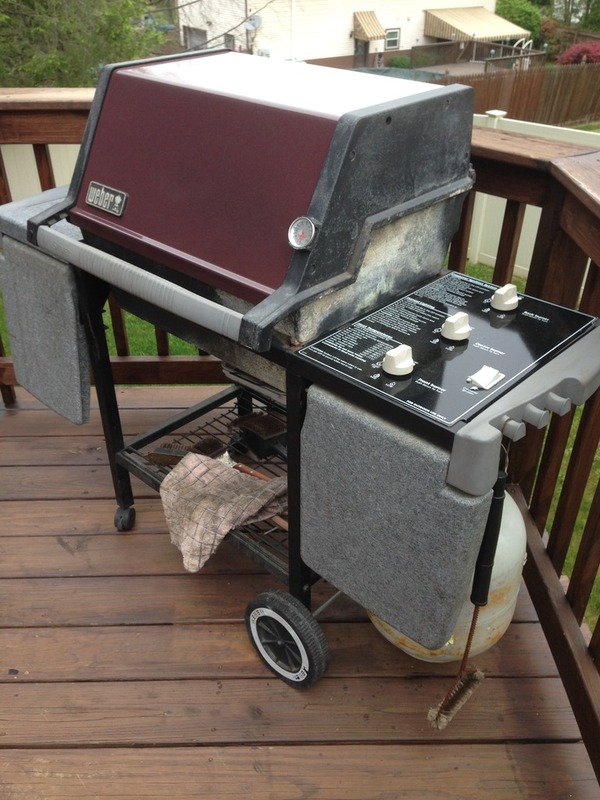 TVWBB member KellyMc from Austin, Texas picked up this 1998 Weber Genesis 1100 redhead on Craigslist for just $45. 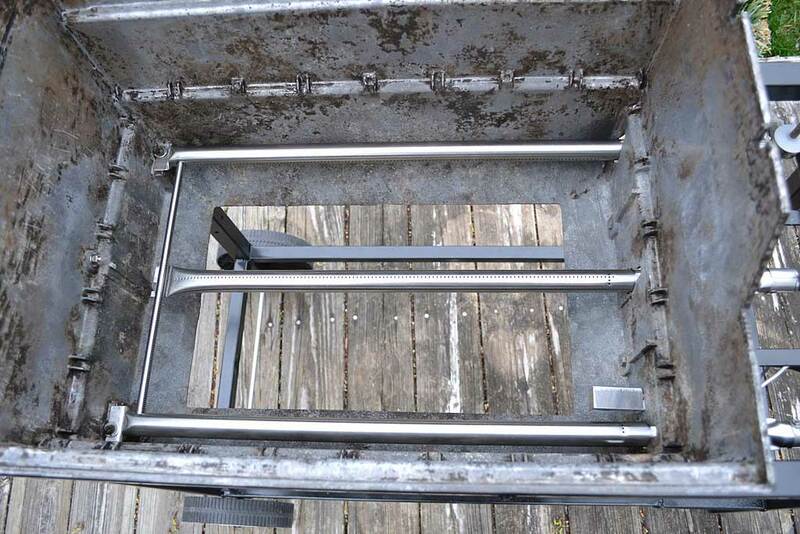 What really stands out about Kelly’s restoration is the woodwork. 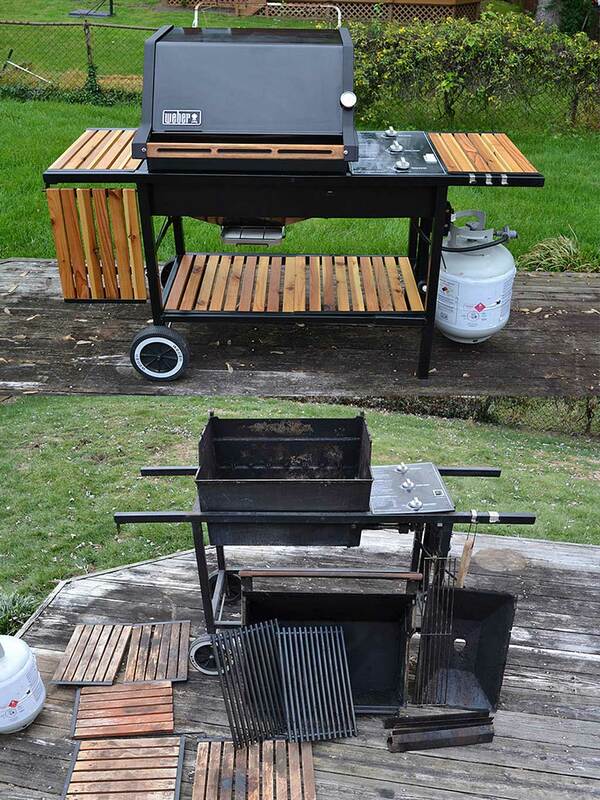 “I used cedar from Home Depot — 1x2s for the side shelf and just plain fence pickets for the bottom shelf. 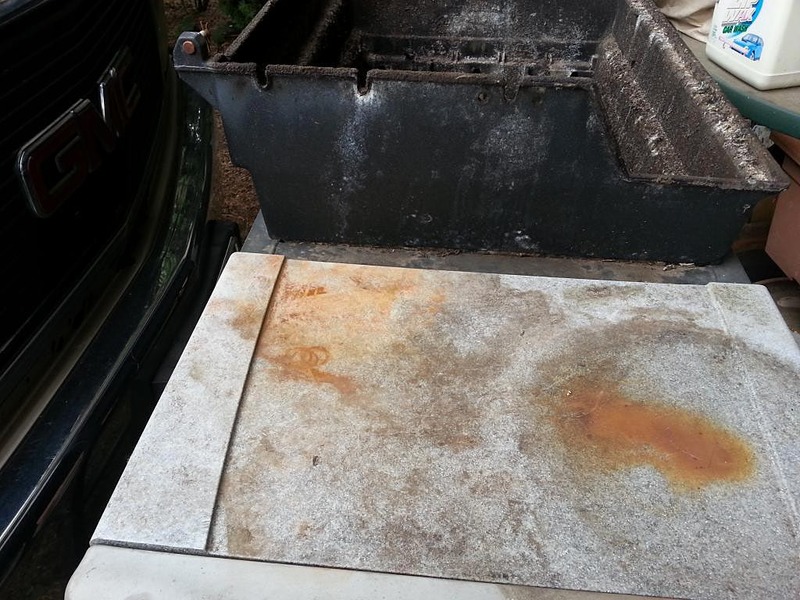 The handle is the original wood, which seems like very cheap pine, with the gray paint sanded off. You can read more about this restoration, with lots of photos, on The Virtual Weber Bulletin Board.